Maintenance FREE living in this 2 bed 2 bath historic downtown Omaha condo. 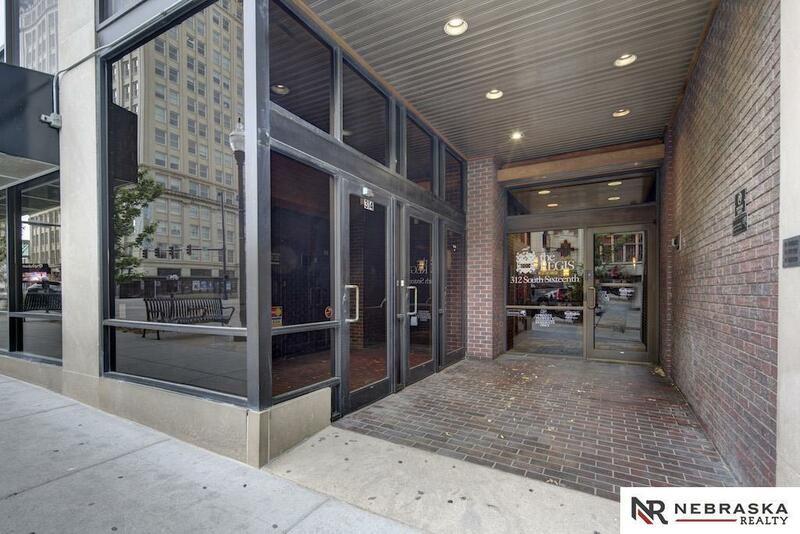 Enjoy elevated views of the 16th street Pedestrian Mall in this popular 4th floor unit. This condo features: durable laminate wood floors, spacious living room, roomy kitchen, and nicely updated bathrooms. This unit boasts: All appliances, exercise room access, LL storage lockers, covered parking access, and secure entry. Monthly dues include: internet, building maintenance, snow removal, garbage, and insurance. Hoa Includes Ext Maintenance Snow Removal Insurance Common Area Maint.